What is the Injectable Chin Implant? The injectable chin implant is a non-surgical cosmetic surgery designed to improve the appearance of a person’s chin. Injectable fillers are used in this procedure, allowing the surgeon to sculpt the chin as needed. It can help hide any blemishes or structural deficiencies in the chin, while also increasing facial balance. A variety of fillers can be used in this procedure in order to provide patients with the best, most personalized results. Is This Procedure Considered Safe? Yes, the injectable chin implant procedure is safe. 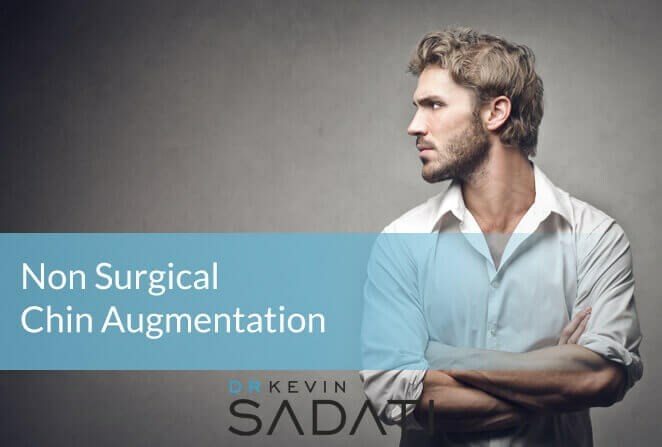 In fact, many consider it a safer alternative than the traditional cosmetic surgery procedure, mainly because surgery and general anesthesia are not necessary for this procedure. In addition, it is an extremely short procedure, with each session only lasting about 15 minutes. This means that there are fewer risks and complications associated with the injectable chin implant procedure. More than 30,000 injectable chin implants are performed throughout the country each year. What Costs are Associated with the Injectable Chin Implant? The cost for the injectable chin implant will vary based on the patient, the significance of the work that needs to be done during the procedure and the fillers that are used. In general, patients can expect this procedure to cost anywhere between $800 and $2,000. Insurance typically will not cover this procedure, this is a cosmetic procedure and not considered medically necessary. However, the injectable chin implant is far more affordable than the surgical chin implant.